Michael K. Young became the 25th President of Texas A&M University on May 1, 2015. 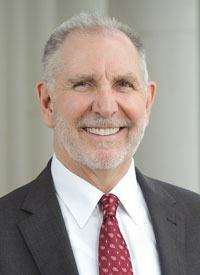 Previously, he served as President and tenured Professor of Law at the University of Washington and President and Distinguished Professor of Law at the University of Utah. He served as Dean and Lobingier Professor of Comparative Law and Jurisprudence at the George Washington University Law School, and he was a professor at Columbia University for more than 20 years. He also has been a visiting professor and scholar at three universities in Japan. A graduate of Harvard Law School, President Young served as a law clerk to the late Chief Justice William H. Rehnquist of the U.S. Supreme Court, and he has held a number of government positions, including Deputy Under Secretary for Economic and Agricultural Affairs and Ambassador for Trade and Environmental Affairs in the Department of State during the administration of President George H.W. Bush.